Meet Hans’ new Klinkhamer hook Daiichi 1160, Daiichi 1167. 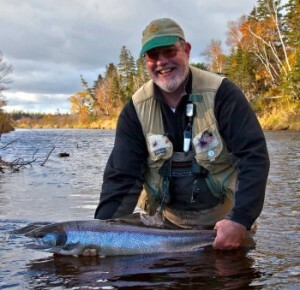 Hans van Klinken shows off his smile and a beautiful Atlantic salmon caught this fall. Hans worked with us and Daiichi to invent the 1160/1167 Klinkhamer hook to tie his famous pattern on. It looks like a successful pattern!